Throughout the world, longstanding tax rules are undergoing major transformations. As CEOs huddle with their tax executives to analyse the far-reaching implications of tax overhauls in Europe and the US, they should also take a closer look at some major changes – and challenges – transpiring within tax functions. At the same time as various rules and regulations are being revamped, technology is bringing sweeping changes to the tax sector, and new roles are now required to embrace this transformation. How well tax leaders address these pivotal short and long-term challenges will largely determine how effectively their companies respond to historic changes in tax rules and ever-increasing regulatory scrutiny. Therefore, it’s up to CEOs to support their companies’ tax leaders in their efforts to reposition for the digital era by anticipating what successful tax functions are likely to look like a decade from now, and acting accordingly. The pace of change surrounding tax-related policies and legislation has become dizzying. In late 2017, the European Commission (EC) unveiled a package of VAT proposals described as “the biggest reform of EU tax rules in a quarter of a century”. One of the most noteworthy aspects of the proposals called for a shift from an origin-based VAT system to a destination-based system. Not to be outdone, the US enacted the Tax Cuts and Jobs Act of 2017 (TCJA), which qualifies as the most sweeping US tax legislation in more than three decades. Most US taxpayers, including multinational corporations (MNCs), are now scrambling to adjust to the TCJA. Earlier this year, the EC and the Organisation for Economic Cooperation and Development (OECD) published updates on their separate – but related – efforts to address the tax challenges posed by the increasingly digital nature of commerce. In its report, the EC asserted that the amount of profit currently going untaxed within the EU is unacceptable. Meanwhile, the UK’s Making Tax Digital initiative continues to progress, mandating companies to begin fulfilling digital record-keeping and submission requirements as early as next year. Add to this mix a steady stream of new rules and regulations concerning real-time tax reporting in a growing number of individual countries, and it becomes clear the global tax postures of MNCs have never been subjected to such intense scrutiny. Nor have global tax functions ever contended with so much change or such cumbersome workloads. Although tax policy overhauls and rule changes differ in nature, they pose a consistent set of short and long-term challenges to tax functions within global enterprises. From an immediate compliance perspective, most tax policy and regulatory changes typically require tax functions to: access and collect more data, often at a granular level for regulatory reporting; leverage data across numerous new, and often interconnected, calculations; use new data and perform new calculations; and assess current data management practices and tax technologies to determine what needs to be changed, upgraded and/or replaced. Further, there is a need to help senior executives – including IT leaders – understand the impact of new policies and rules on the company’s current operating model, as well as on options for adjusting operating models (i.e. restructuring) to limit tax liability in the future. Finally, tax functions are expected to assist employees with scenario planning efforts, forecasting activities and other work related to optimising the company’s response to external tax policy changes. As new tax legislation is implemented around the world, tax functions will be required to conduct these and other related activities with growing frequency in order to ease new talent management and technology pressures. New tax compliance requirements oblige tax professionals to monitor the changes to the rules, analyse their potential impact on the company and then share their analyses with senior-level colleagues. Major tax policy changes also require tax functions to re-evaluate tax management processes, data management practices and supporting technologies to identify which processes should be eliminated, tweaked, updated or replaced. These efforts are frequently complicated by organisational digital transformation initiatives, process improvement activities, acquisitions and divestitures, as well as IT-driven technology changes, including ongoing moves to cloud-based technology environments. Many tax functions are discovering they have a growing need for tax experts with data management and data science skills – and they’re not alone. Other parts of the organisation and other companies are hungry for data science talent, which intensifies competition. And, as is the case in other parts of the organisation, tax departments face demographic challenges in replacing the high number of retirement-age professionals currently on their roster. Finally, tax functions have a growing need for supporting technology that can manage the data used across all tax management processes on a global basis. In addition to the short-term challenges these demands present, the rapidly changing global tax compliance environment, coupled with tax authorities’ strident calls for greater tax transparency, is reshaping how tax functions operate. These changes will take time to develop, but a picture of how tax functions will take shape in the near future has begun to emerge. It is likely that leading tax functions of the future will take a seat at the strategic planning table. A rapidly changing global tax policy environment has instilled tax planning with a growing strategic importance. While tax departments will always need to fulfil tax compliance and reporting requirements, leading functions will also assume a more prominent role in organisational strategic planning activities. In other words, expect more tax leaders to join their C-suite peers in conducting complex scenario-planning activities. During these exercises, tax leaders will be called on as strategic business advisors to assess how tax liability and related reputational risks associated with different planning options can be managed. This work also requires the development of complex models to guide future tax planning activities. Future tax functions will also cultivate a deeper partnership with IT. New tax compliance rules require tax functions to collect, analyse, safeguard and report new types of detailed data. 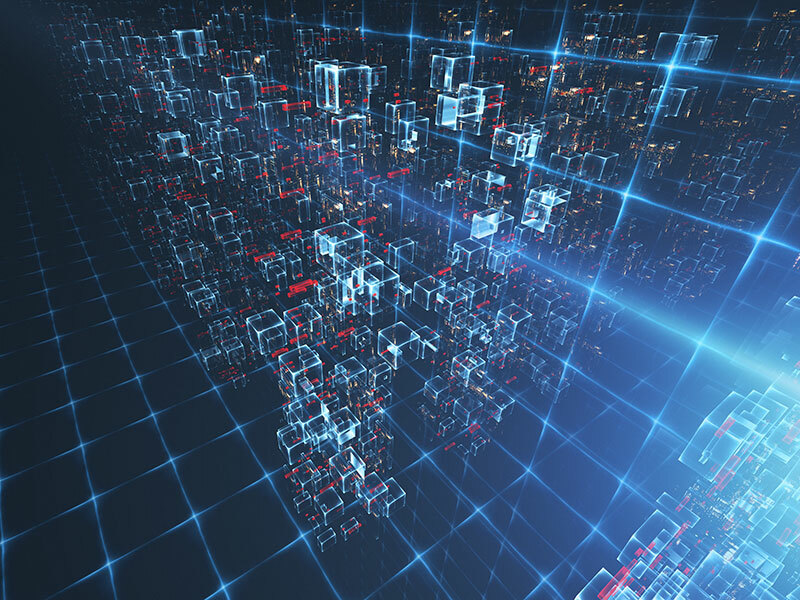 This growing data management challenge is driving tax leaders to forge more collaborative relationships with chief information officers, chief information security officers and IT functions. Healthy tax-IT relationships help ensure tax technologies can be quickly procured, implemented, updated and/or replaced to sustain tax compliance in the most effective and efficient manner. This relationship is especially important as more companies and tax functions embrace cloud-based applications. IT expertise is crucial in selecting and managing cloud technology vendors in an effective and highly secure manner. These collaborations also help ensure that sufficient governance and controls support tax data and tax data management processes. As more organisations become increasingly data driven, and more global tax authorities move to adopt real-time tax reporting, tax functions will need to expand their supply of technology and data science expertise. To satisfy this need for talent, tax leaders will seek to recruit and develop ‘tax technologists’ – tax professionals who supplement their formal tax education with technology exposure and experience. In some cases, this technology training will consist of university degrees in computer science or management information systems. In other cases, tax experts will become tax technologists by learning XML, SQL, scripting languages, data preparation tools and other related skills. Sweeping and complex changes have been non-stop in the worldwide tax environment, so it should be no surprise that the talent, technology and process changes occurring inside global tax functions are similarly transformational. By understanding how tax functions are currently evolving, CEOs and tax executives can pave the way for their future tax functions to thrive.